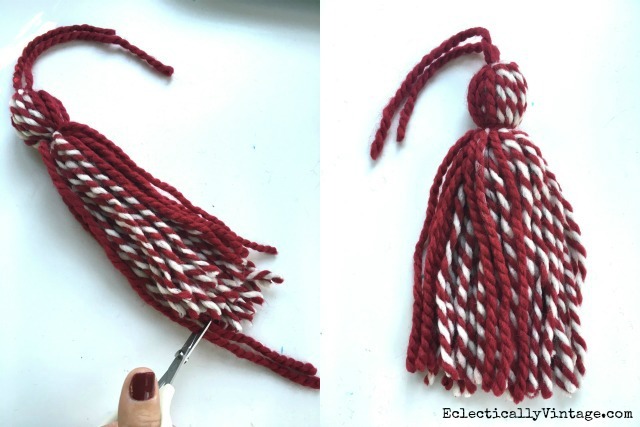 This year, I’ve been a busy little elf whipping up a sleigh load of tassels. 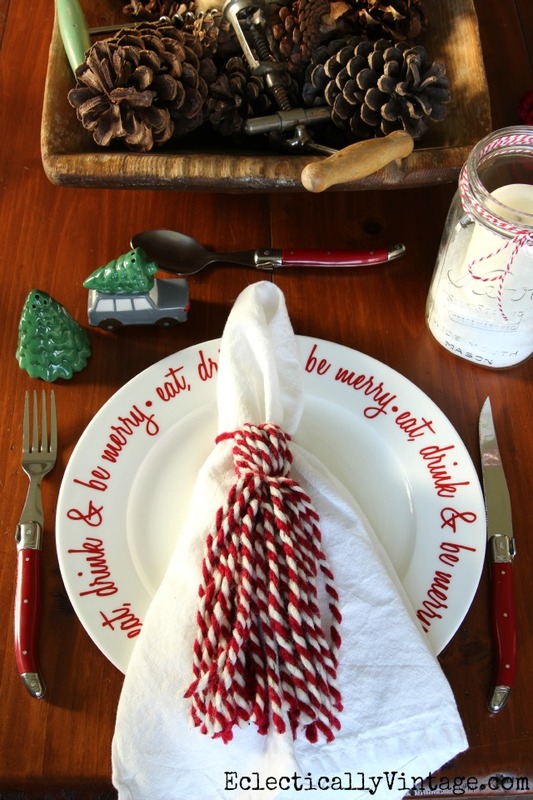 They are so cute as gift toppers, tied to a bottle of wine, as a napkin ring or hung on the tree. 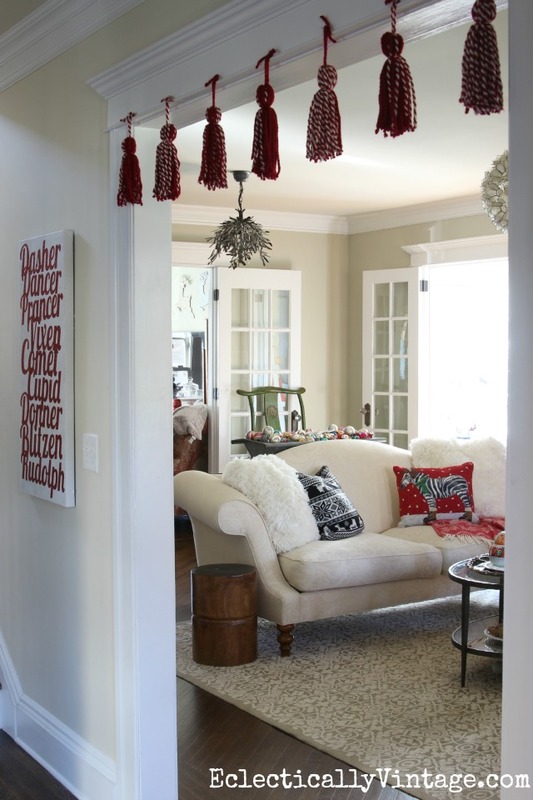 You can even make a garland out of them like I did over my doorway. 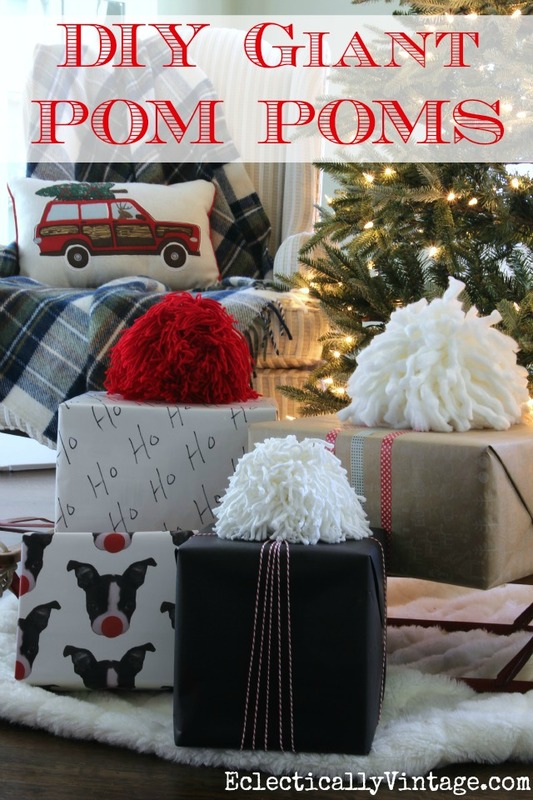 See how to make giant pom poms – HERE. 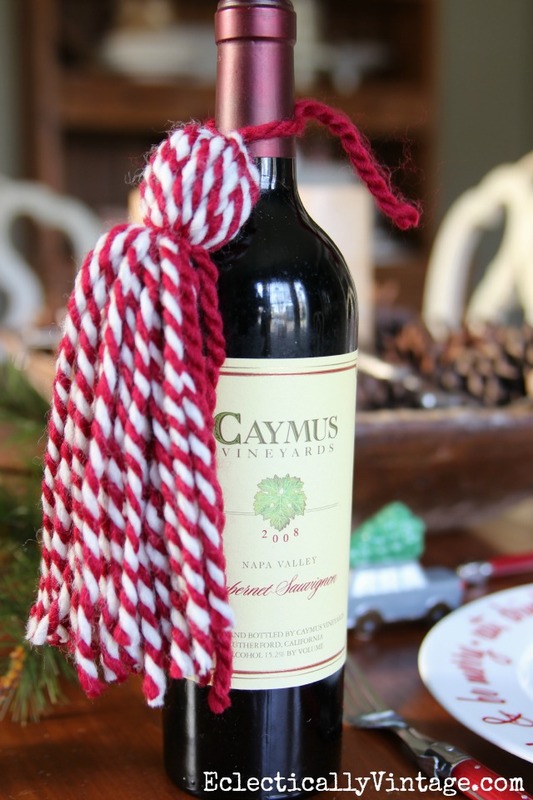 I love all of your yarn projects….what a great idea to embellish a wine bottle for a gift….and napkin rings….awesome idea!! !….Have a great day! Love it! Beautiful job!!! Love your puppy in the tray! You have good taste in wine. 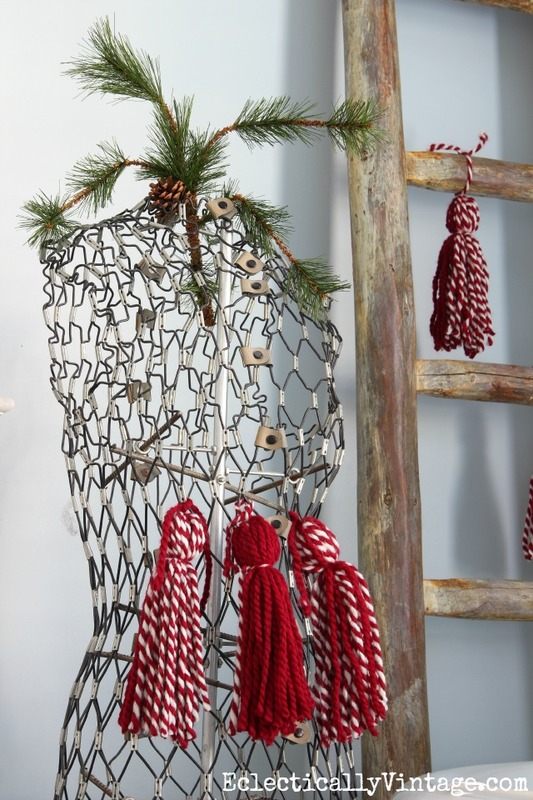 I see the bottle Caymus under your tassel project! My fav! 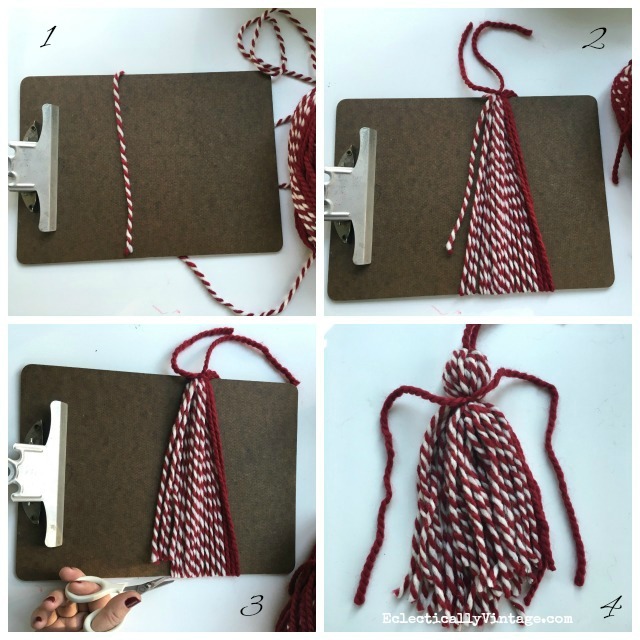 Looks even better with the tassel!